The U.S. Department of Defense (DOD) and the Federal Bureau of Investigation (FBI) have joined the multi-Federal agency investigations into the largest psychiatric hospital chain owned by Universal Health Services (UHS). The agencies are “scrutinizing UHS’s billings to Tricare, the insurance plan for active military and their families,” according to the latest BuzzFeed News expose. Rosalind Adams, an award-winning journalist with BuzzFeedNews, conducted an independent investigation into UHS saying that investigators have cited “troubling reports suggesting a pattern of quality of care issues” or “harm to patients” in some UHS facilities operating in a dozen states. 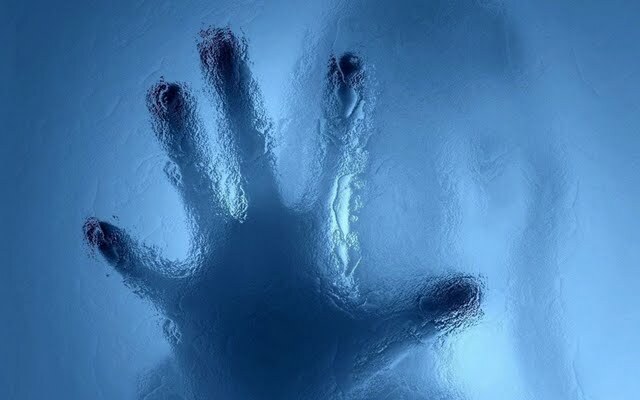 In 2010, the Citizens Commission on Human Rights International (CCHR), a 48 year mental health watchdog, began documenting abuses that employees and former employees of UHS psychiatric facilities, patients and their families reported to it. CCHR has filed more than 4,000 complaints to law enforcement, health officials, state FBI agencies, Federal and State legislators, and to the state branches of Tricare. These also disclosed numerous psychiatrists affiliated with UHS and other for-profit behavioral health care facilities as top national and state prescribers of psychotropic drugs. 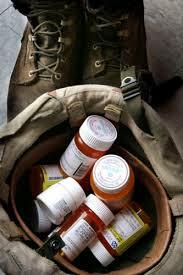 The psychiatrists have billed millions of dollars each year to Medicare Part D (prescriptions). Concerned by the use of psychotropic drugs on military personnel and veterans, CCHR’s complaints noted that UHS developed a Patriot Support Program, providing treatment for active duty members in the Armed Forces. Veterans and their families are also treated in UHS behavioral facilities. Shadow Mountain accepts Tricare and VA insurance. 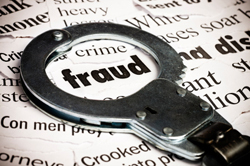 CCHR welcomes any DOD investigation into potential fraudulent Tricare billing. Senator Grassley also wrote to the Joint Commission, an accrediting organization that conducts surveys of healthcare facilities, asking to explain how it came to award a “Gold Seal of Approval” to Shadow Mountain. In response, the Joint Commission sent inspectors to Shadow Mountain who found “evidence of non-compliance of standards” in at least eight areas, including provision of care, treatment and services. Senator Grassley wasn’t happy about this and sent another letter calling on The Joint Commission for more transparency about what the surveyors had found, including releasing the hospital’s full accreditation reports to the public. Since 2013, the U.S. Department of Justice (DOJ) and Office of the Inspector General of the Department of Health and Human Services (OIG-HHS) have been investigating UHS’s behavioral facilities. Currently, there are 26 of these facilities under investigation for potential billing fraud in nine states—Florida, Georgia, Illinois, Massachusetts, North Carolina, Pennsylvania, Texas, Utah and Virginia. In 2015, UHS’s headquarters in Pennsylvania was also added to the investigations. Five years after the Federal investigations began UHS’s track record hasn’t changed. On April 10, 2017, the state of Massachusetts filed a suit against UHS in federal court, accusing it of illegally charging Medicaid for outpatient mental health care by unqualified staff. As Modern Healthcare reported, “UHS this year has faced scrutiny” over allegations that the “for-profit hospital operator kept psychiatric patients longer than necessary to milk their insurance.” Massachusetts has asked for treble damages on the just over $94.2 million in reimbursements it made to UHS between 2005 and 2013, as well as civil penalties, or a total of more than $282 million. UHS has continued to receive annual Medicaid revenues in excess of $100 million from each of California, Pennsylvania, Massachusetts, Illinois, Texas, Washington, D.C., Nevada, and Virginia—or greater than $800 million a year, according to UHS’s Securities and Exchange Commission filing in December 2016. CCHR has also pointed out in its many complaints that there needs to be an overhaul of how for-profit behavioral facilities are able to repeatedly be investigated for patient abuse and poor conditions by state health care agencies and the U.S. Centers for Medicare and Medicaid Services (CMS) and be continually funded by CMS, because they only need submit CMS “Correction Plans” and/or Corporate Integrity Agreements (CIAs), and are able to continue operating—only to repeat the offenses. In August 2015, CMS said it would cut Medicare and Medicaid funding to UHS’s Timberlawn hospital in Dallas, Texas. The hospital had flunked multiple safety inspections, including the monitoring of suicidal patients, and had failed to make promised improvements. CMS inspectors also found Timberlawn workers had falsified records to avoid scrutiny in a patient-harm case. Timberlawn had already come under investigation in April 2013 for allegations of Medicare fraud and improper treatment of Medicaid patients. There were allegations then that suicidal patients were not properly monitored. Despite this and CMS terminating Timberlawn’s contract on August 31, 2015, CMS subsequently allowed UHS and Timberlawn to reapply for the CSM program. In March, 2016, the Texas Department of State Health Services (DSHS) moved to close Timberlawn, revoke its license and impose a $1 million fine over safety breaches that included a suicide and violent fights among patients. As of August that year, DSHS had not enforced the fine. In 2013, The Boston Globe reported on repeated citations for understaffing ad poor worker training at UHS facilities. Then on 9 February 2017, they reported that when the Occupational Safety and Health Administration (OSHA) cited UHS’s Arbour-HRI psychiatric hospital for lack of staff safety due to assaults on staff by patients (often prescribed psychotropic drugs that can induce or increase violent behavior), OSHA issued a five-page citation on January 19, but the facility was only fined $12,675. The fact that UHS is allowed to acquire or establish any new psychiatric facility while under federal investigation is astonishing, CCHR says. It has also been allowed to expand its behavioral empire in the United Kingdom, where it acquired the Cygnet psychiatric hospital chain in 2014, then completed its acquisition of another chain, Cambian Group, PLC’s Adult Services Division in December 2016. UHS now owns 102 psychiatric facilities in the UK. In November 2015, CCHR wrote the UK Competition and Markets Authority (CMA), the National Health Service (NHS) and the Care Quality Commission (CQC) warning about the allegations against UHS’s psychiatric operations in the U.S. The private for-profit mental health system requires greater oversight. Governments must learn from the systemic abuse that was previously exposed. Over the past two decades, CCHR has documented over $3.7 billion in criminal and civil fraud settlements and fines in the behavioral hospital sector. It says existing investigations into the for-profit mental health industry should be widened, with accountability and results shown for funds expended on it. In 1993, in one of the biggest health care fraud investigations undertaken at that time, there were multi-Federal agency raids on NME. The company paid over $379 million in criminal and civil fines to the Federal government. NME became Tenet Healthcare in 1995. Charter Behavioral Healthcare bought NME’s facilities in 1994, and following DOJ and HHS investigations, in 2000 Charter filed for bankruptcy. It also agreed to pay $7 million to settle allegations of overcharging Medicare and other federal programs. UHS then bought 12 of Charter’s mental health facilities. In 2010, UHS also bought out Psychiatric Solutions Inc. (PSI), including its then legal liabilities. This included a lawsuit against PSI filed on September 21, 2009 on behalf of shareholders over allegations that “PSI failed to sufficiently staff its facilities, resulting in alarming incidents of abuse, neglect, and even death of its patients, and downplayed the significance of these events when they became public.” The case settled for $65 million in 2015. All but one of the current corporate officers of another company that owns psychiatric facilities, Acadia Healthcare, is a previous owner and/or officer of PSI. Hospital Corp of America (HCA) was originally Columbia Corporation. In 1997, HCA/Columbia was indicted for Medicare fraud and to settle the civil and criminal charges against it, it paid $1.74 billion in fines. The Chief Strategy Office of HCA (who up until recently was the president of its behavioral services) is the former co-chief operating officer of PSI. UHS, Acadia Healthcare, equity firms and consultants on behavioral health mergers saw the passage of the Affordable Care Act in 2010, as a “mental health gold rush.” By 2014, IBIS World estimated the US behavioral health market would be about $50 billion in revenues. The major players were (and remain): UHS, Acadia HealthCare, Tenet Healthcare and HCA Holdings. Globally, it is estimated that the behavioral “rehabilitation” market is expected to reach $313.9 billion by 2025. The major mergers and acquisitions include those UK acquisitions by UHS and Acadia Healthcare which acquired the U.K.-based Priory Group. The UHS scandal is symptomatic of a system that there are insufficient controls and accountability, where fraud can be committed against government programs, and those responsible continue to operate, including the psychiatrists treating hundreds of thousands of Americans in such facilities. When patients’ welfare and lives are potentially put at risk, it shouldn’t take CMS officers being forced to threaten to terminate contracts to get one of the largest psychiatric hospital chains in the nation to do the right thing—ensuring their subsidiary hospitals maintain CMS standards at all times. It shouldn’t take more than one Plan of Correction to ensure safeguards to prevent sexual assault of patients—by fellow residents or staff. Or to ensure that patients are never neglected to the point that they commit suicide or are restrained to the point of being harmed and even killed. CCHR continues to call for not only Federal and State investigations but effective action that shuts down a failed and abusive psychiatric-behavioral system that seems to put profit before patients. “Largest US Psychiatric Chain Faces Widening Investigation For Holding Patients To Boost Profits,” BuzzFeedNews, 23 May 2017, https://www.buzzfeed.com/rosalindadams/largest-us-psychiatric-chain-faces-widening-investigation?utm_term=.nk72e0DOrw#.usXnv1JMb0. Rosalind Adams, “Intake: Locked on the Psych Ward,” BuzzFeed News, 7 Dec. 2016, https://www.buzzfeed.com/rosalindadams/intake?utm_term=.vbWyDALb9V#.wglzdY1p39. “UHS Hospital Poses ‘Immediate Threat To Life,’ Accreditor Says,” BuzzFeedNews, 27 May 2017, https://www.buzzfeed.com/rosalindadams/inspectors-find-uhs-hospital-poses-immediate-threat-to-life?utm_term=.qvP93y30a#.ugZAzezM3; https://www.cchrint.org/2016/07/05/psychiatric-hospital-chain-sued/. UHS Inc, SEC Filing, For 8K, 31 Mar. 2015, Item 7:01, Regulation FD Disclosure, http://www.sec.gov/Archives/edgar/data/352915/000119312515113094/d898400d8k.htm; “UHS posts strong quarter even as it faces federal probe,” Phily.com,30 Apr. 2015, http://articles.philly.com/2015-04-30/business/61657494_1_steve-filton-uhs-strong-quarter. UNIVERSAL HEALTH SERVICES, INC. FORM 10-K, UNITED STATES SECURITIES AND EXCHANGE COMMISSION, For the fiscal year ended 31 Dec., 2016, p. 13, https://www.sec.gov/Archives/edgar/data/352915/000156459017002860/uhs-10k_20161231.htm. 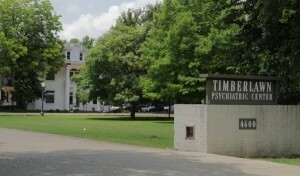 Reese Dunklin, “Judge rules regulators can stop funding Timberlawn psychiatric hospital,” Dallas Morning News, August 13, 2015, http://www.dallasnews.com/news/metro/20150813-judge-rules-regulators-can-stop-funding-timberlawn-psychiatric-hospital.ece; https://olis.leg.state.or.us/liz/2017R1/Downloads/CommitteeMeetingDocument/117795 ; https://www.cchrint.org/2015/08/14/timberlawn-tx-psych-hospital-loses-federal-funding/. “OSHA cites Brookline psychiatric hospital,” The Boston Globe, 9 Feb. 2017, https://www.bostonglobe.com/metro/2017/02/08/osha-cites-brookline-psychiatric-hospital/xJda9EH54yJlbeNLdZ3GGJ/story.html. “NME Offices Raided in Major Fraud Probe: Health care: Federal investigation focuses on accusations of false billing and diagnoses by the giant hospital operator,” Los Angeles Times, 27 Aug. 1993, http://articles.latimes.com/1993-08-27/business/fi-28623_1_national-medical. Tenet Healthcare Corporation History, International Directory of Company Histories, Vol. 55. St. James Press, 2003.; http://www.fundinguniverse.com/company-histories/tenet-healthcare-corporation-history/. “A Chapter 11 Filing by Charter Behavioral,” The New York Times, 17 Feb. 2000, http://www.nytimes.com/2000/02/17/business/a-chapter-11-filing-by-charter-behavioral.html. Michael J. Sniffen, “Charter to Settle Suit By Paying $7 Million,” The Commercial Appeal, Memphis, Tennessee, 19 Aug. 2000. “A Chapter 11 Filing by Charter Behavioral,” The New York Times, 17 Feb. http://www.nytimes.com/2000/02/17/business/a-chapter-11-filing-by-charter-behavioral.html 2000; http://www.uhsinc.com/about-us/timeline/. “Shareholders Obtain $65 Million Settlement in Psychiatric Solutions,” Robins Geller, Rudman and Dowd, LLP, 17 Jan. 2015. CBS News, 4 May 2010, http://www.cbsnews.com/news/former-hca-ceo-rick-scott-bad-news-for-florida-healthcare-if-he-becomes-governor/. “HCA to grow presence in behavioral health, official says,” Modern Healthcare, 19 Apr. 2013, http://www.modernhealthcare.com/article/20130419/NEWS/304119965. Margaret Newkirk, “Private Equity Sees No End to the Drug and Mental-Health Gold Rush,” Bloomberg, 30 Mar. 2017, https://www.bloomberg.com/news/articles/2017-03-30/private-equity-rehab-romance-rages-amid-health-law-turmoil.